With the emergence of an information society in the late 80’s and early 90’s came a shift of focus in the industry from technical skills to generic skills. 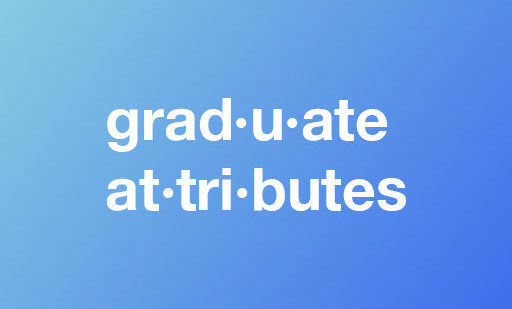 This shift, as well as pressures from governments, employers, and organisations, triggered the introduction of graduate attribute (GAs)(click for definition) frameworks in universities. The intended result was to deliver graduates that are better prepared for the workforce. Nowadays, most British universities have sets of graduate attributes which their students are expected to develop. In spite of similarities between these sets of GAs, there is also great diversity when it comes to naming and describing them. Every university uses slightly different names and definitions for these attributes. This lack of shared standard names and definitions can hinder communication and make it harder to research GAs. Our goal is to develop a universal, standard model of graduate attributes with clear names and comprehensive definitions, using input from a variety of stakeholders, including academics, students, employers, educational developers etc. Our first study aimed to take existing lists of GAs and use them to create a first draft of the model (details and results below). At the moment, we are conducting more research to validate and refine this model. We analysed lists of graduate attributes from 27 universities across the UK. We identified 43 unique graduate attributes in our dataset. These attributes were grouped into 7 broad categories. Click below to access a poster we presented at the Advance HE 2018 Annual Conference. You can access this handout for more detailed information on the attributes and categories in our initial model. If you'd like to take part in our research, click below to open our GAs categorisation survey.